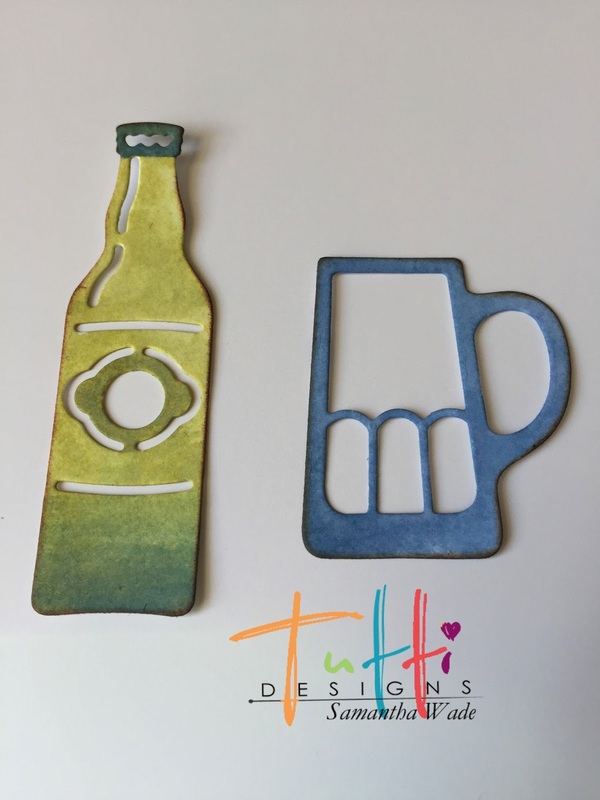 Tutti Designs: Happy Fathers Day with the Beer Set, Cheers! 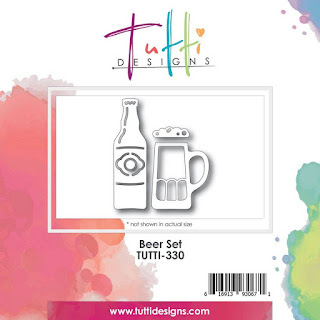 Today is from this months new release Beer Set, TUTTI-330. 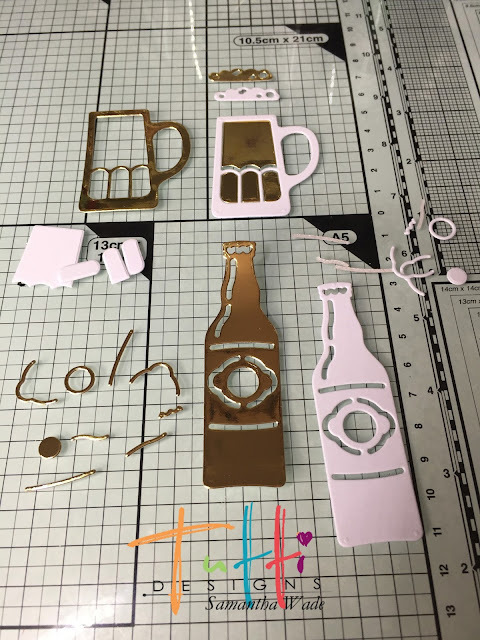 The Beer Set has been cut from white and gold mirror card. Then the detail pieces can be mixed and matched. The white bottle and glass has been water coloured with distress inks, faded jeans and peeled paint. Glue the bottle and glass flat onto the background then piece the mirror parts back into the bottle and glass and the white froth. To finish 3D the sentiment. 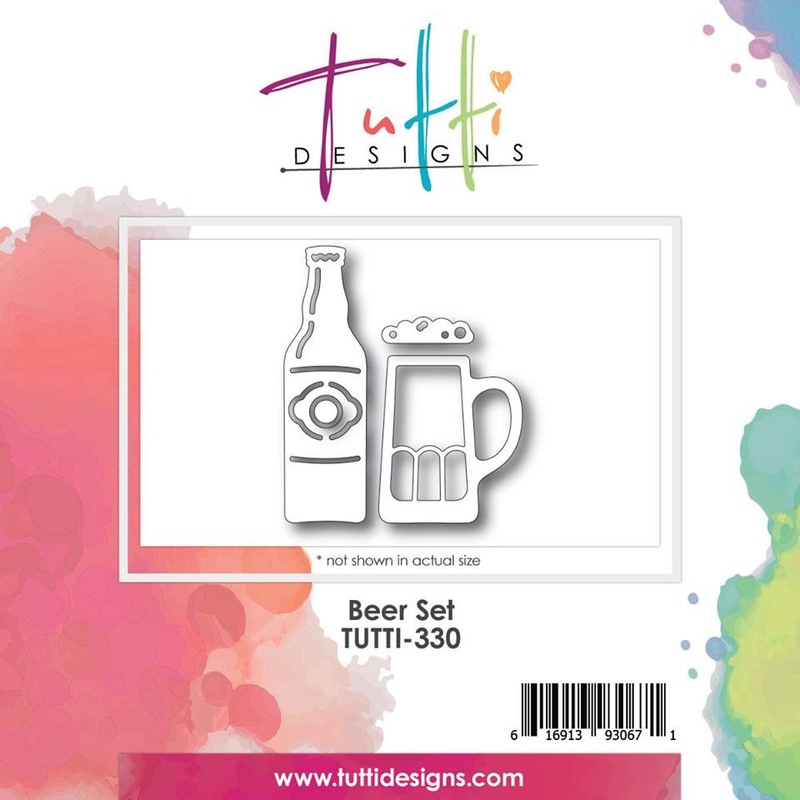 A name or Dad can be added to the bottle under the bottom mirror card line. Love this die set. Your card is so rustic, perfect masculine design! 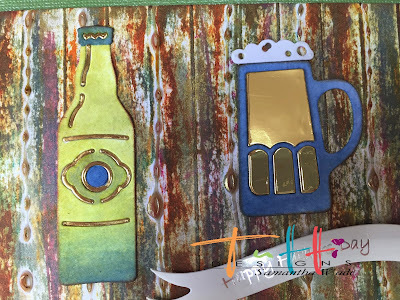 Great layering with the gold mirror card stock, it really shines! 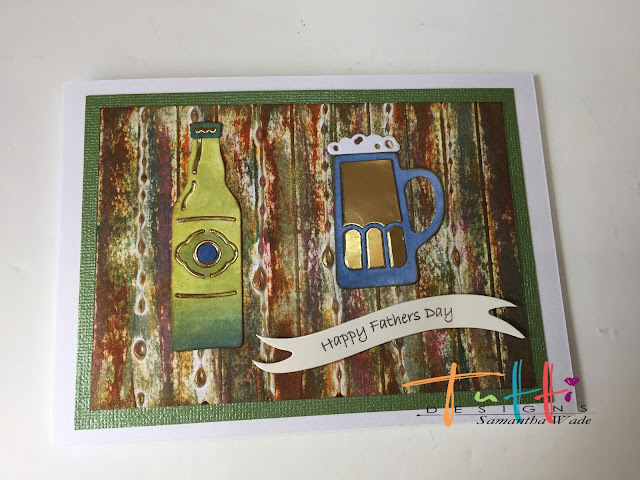 This is such a cool looking card Samantha! Thanks for the tips and that background is perfect! GREAT JOB! Great card, Samantha! This is a cute die set.